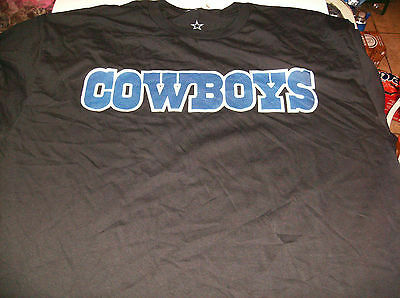 Up for bid is this Dallas Cowboys NFL Team apparel ” Wideout Wordmark ” shirt. Shirt is brand new with tags. Shirt is a size XXL. This is a regular style t-shirt. 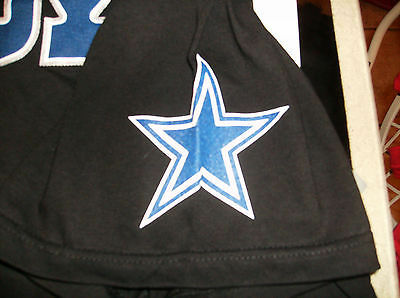 Shirt has the Dallas star on the left sleeve. Please check our other auctions we offer great items at great prices and we ship FAST!!! Customer service is our NO. 1 priority, we are here for you. We always offer FREE SHIPPING and if you have any questions please ask us. Winning bid needs to be paid within 5 days of purchase. Thanks from Valerie and Mike.